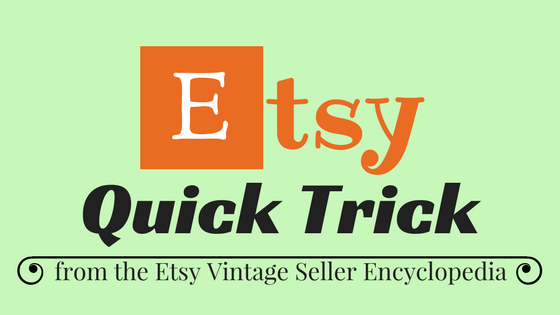 Will you try the new Etsy Plus tiered seller package? Most know about Etsy's fee increase. Along with that, they are rolling out new tiered packages. First, if you are happy with how your shop is now, you do not need to do anything... everything is the same, except there will be a 1.5% increase in the sold item fee (up from 3.5% to 5%). Sellers will be able to customize special options for their shop's look with new banner templates and featured listing options. 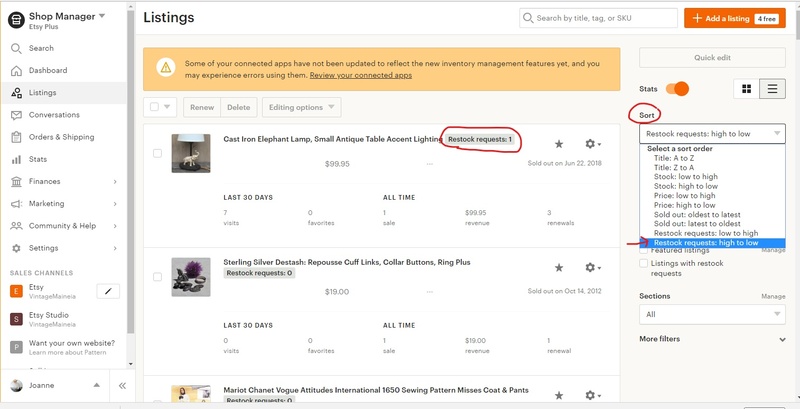 When shoppers are interested in sold out items, Etsy Plus subscribers will be able to email them when the item is back in stock. Sellers can find out which listings are most popular. 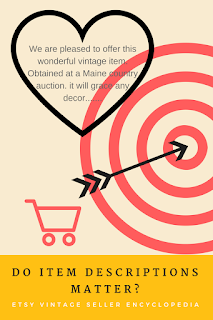 Could this be helpful in planning your vintage buying? Save 50% on a custom .com address or get a .store address for free for a year. Some sellers may find this helpful. 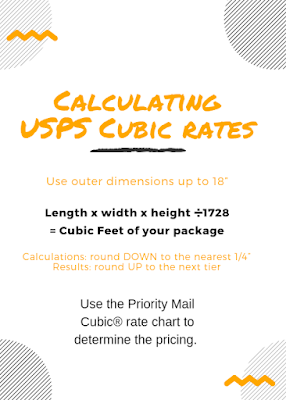 Enrolled sellers receive a special discount on custom shipping boxes, business cards, and other marketing materials from Etsy's partners. Etsy sellers who advertise may have even more of a reason to try out the "Etsy Plus" tiered upgrade at low cost; it is the "bonus listing and advertising credits." 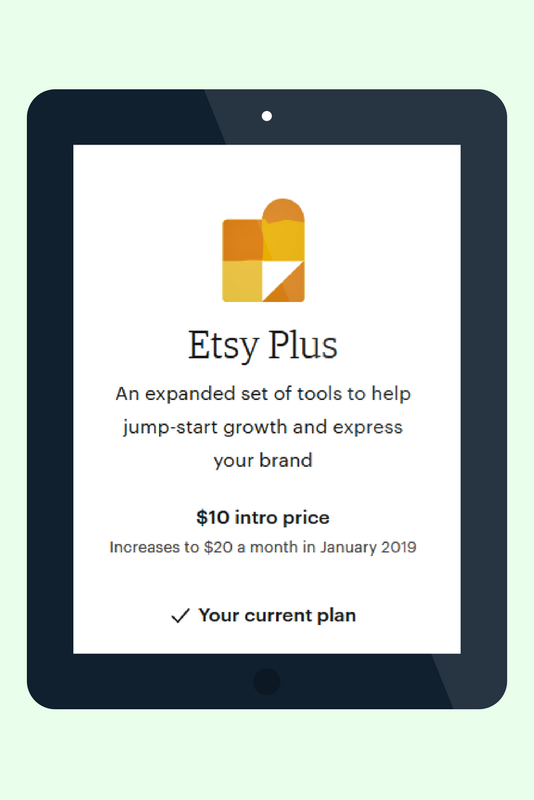 That means that for the $10/month you pay for Etsy Plus at the introductory rate, it will cost only $2/month to try out. You can find out if anything else in the package works for your and boosts sales. You can always opt out before the fee goes to $20 a month. 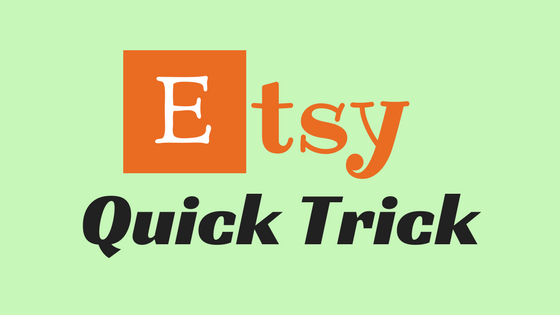 Read here for how to set up the restock request feature of Etsy Plus. 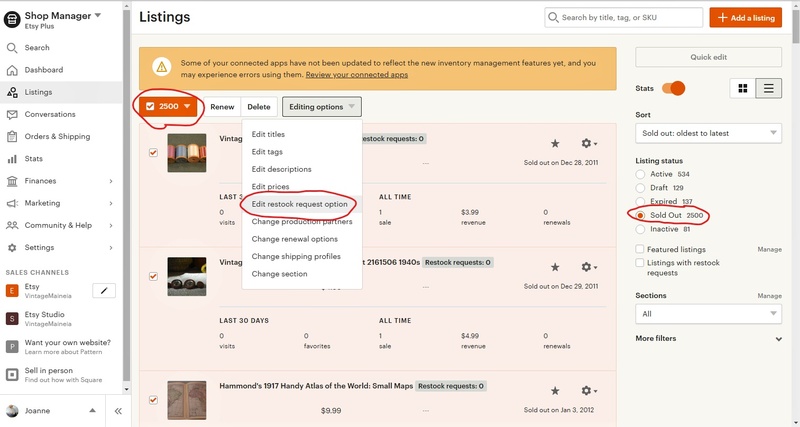 Here is a deeper explanation of the new features from Etsy's CEO. I hope this was helpful... 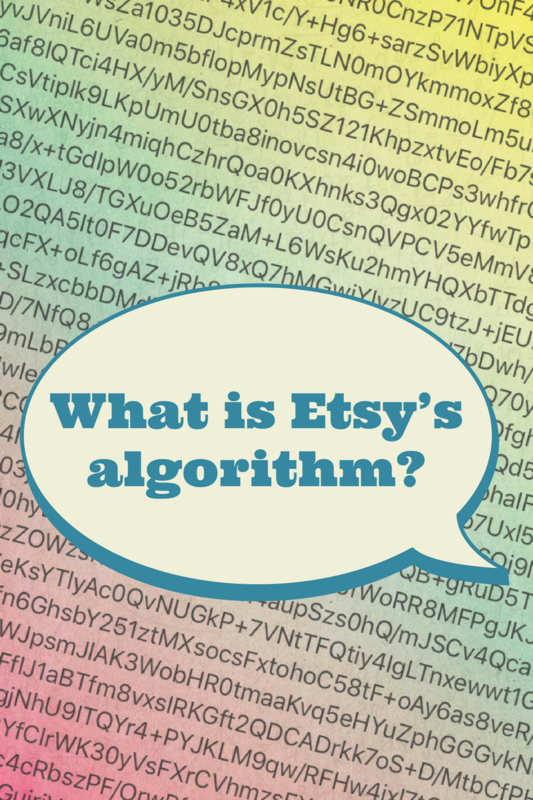 Thanks for joining me for this quick tip about Etsy's latest announcement! Recent events have prompted an interest in privacy policies. The European Union has enacted new rules in that arena called the "General Data Protection Regulation" or GDPR. It takes effect on May 25, 2018. Do small sellers really have to do this? 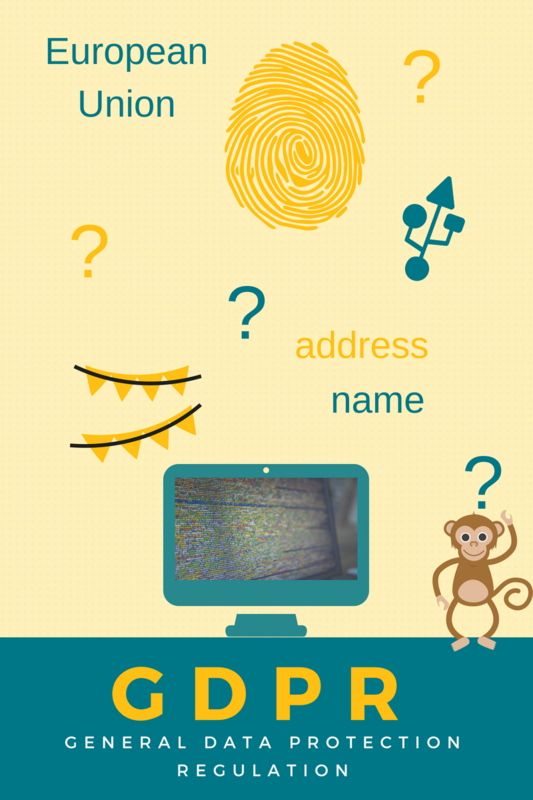 Here is a hint: basic identity data like names and addresses are included under these new regulations. "We only use customer information to fulfill orders. We do not store or use customer information for any other purpose. Information such as name, address, and email address is not stored on our computers. If and when required, we will communicate with you about your order status using the Etsy platform." "We only use customer information to fulfill orders. 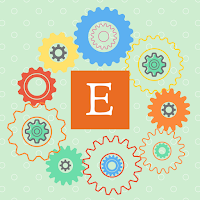 Your personal information (name and address) as provided to me by Etsy will only be used by me as needed to provide my services. I may use your information to fulfil your order, to settle disputes, or to provide customer support. I may collect, use, retain, and share your information if I have a good faith belief that it is reasonably necessary to: (a) respond to legal process or to government requests (i.e. taxes) (b) enforce my agreements, terms and policies; (c) prevent, investigate, and address fraud and other illegal activity, security, or technical issues; or (d) protect the rights, property, and safety of my customers or others. If and when required, we will communicate with you about your order status using the Etsy “convo” platform. "I have no access to your payment account details: Etsy Payments and PayPal process your financial information independently of me. 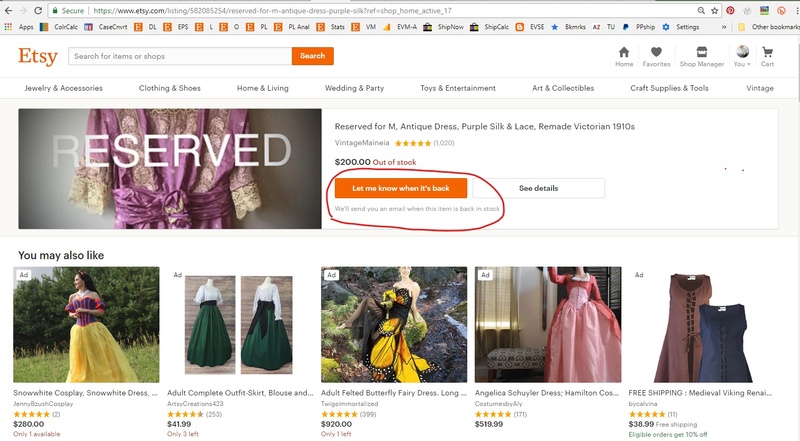 "Your transaction information will be stored on the Etsy system as long as I have my store on Etsy or until Etsy deletes it. I will not spam you or solicit you using the information provided to me." Here is another template to consider. To adjust shop policies, go to your public shop page. Find the orange "Edit shop" button. (It is right under your shop's star rating next to your shop avatar.) Scroll down, down, down to where it says "shop policies" on the left side. Opposite that, on the right side, is the button to edit your shop policies. There are some unknowns in this process. For example, the EU law requires that companies provide a "reasonable" level of protection for personal data. But it does not specify exactly what “reasonable” means. Those who sell in the European Union will need privacy policies beyond the scope of this blog post. (Thanks for noting that this blog post is for informational purposes only and is not intended to be legal advice.) Here is a blog post with more information. Concerns over privacy policies have changed the landscape of online selling. It is wise for sellers to do their homework. When selling, we need to know our target buyer. Writing up and using a keyword list can be helpful. Well crafted listing text can lead to more sales. Really, it can. 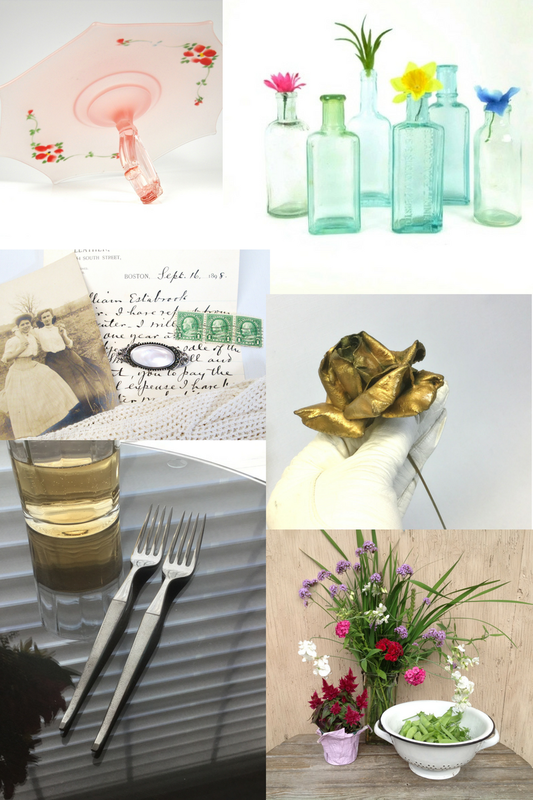 What can such a list look like for a vintage shop? Here is a sample. Do you have your key word list yet? The narrower your target buyer, the smaller this list will be. Make a list and add to it as you think of more terms. 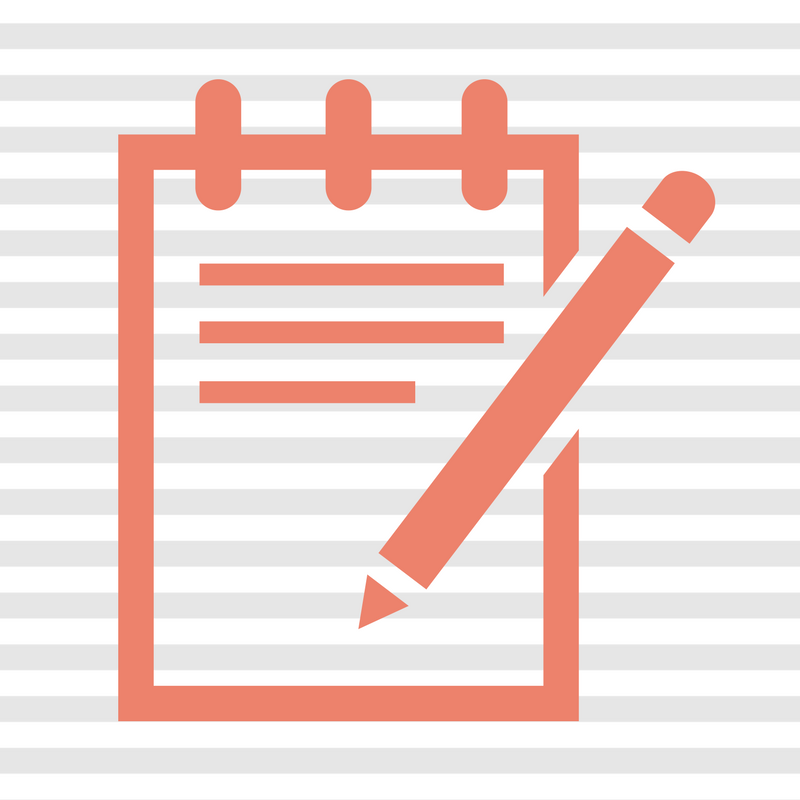 Use your keyword list as you compose listings. 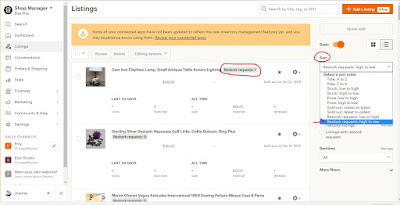 Take your item descriptions to the next level with a buyer keyword list! This post is about Etsy's search factors in 2018. This is all theory and conjecture. Information is based on my observations and those of many others. If you want facts, please move on to another blog post. Remember that these change all the time. And some are weighted differently. *Asterisk means factors that I have seen said by Etsy Admin that DO count. But factors can always change. #Pound key means factors that I personally have seen at work. Phew, that was a lot of factors. No wonder artificial intelligence is necessary to sort it all out! Have I missed something? Let me know and I will add it. In another post we will cover what sellers can do with the information. 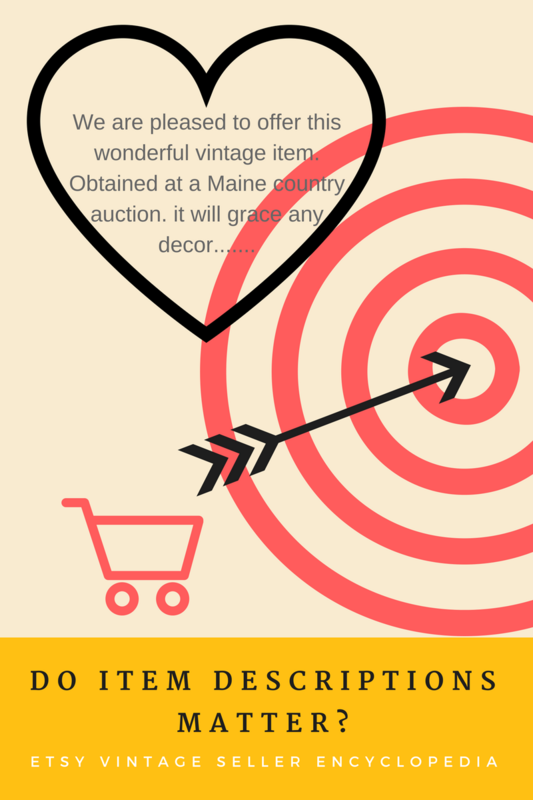 Vintage buyers: are yours collectors, trend setters or thrifty? 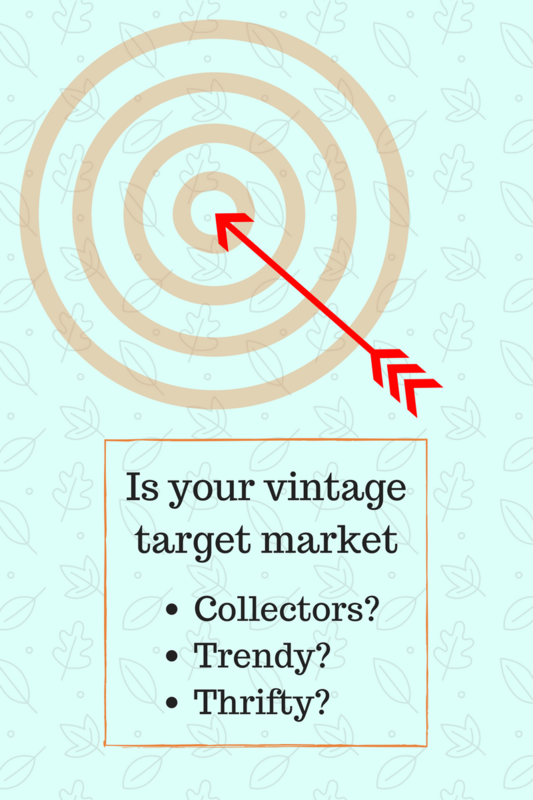 If you are a vintage seller, you already have a defined target market. 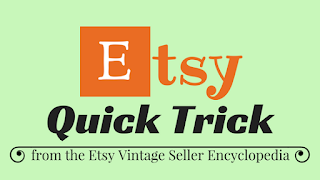 Etsy defines it for you by limiting "vintage" to items over 20 years old. Plus, not everyone wants to buy pre-owned merchandise. So we just limited our target market by, say, 50%. Every vintage seller is a niche seller. That was easy! How does your shop appeal to those motivations? Consider the buyers who come to Etsy and browse vintage shops... They want to buy something. Sometimes they will buy something they had no idea that they wanted until they saw it. What made them decide to buy? You need to crack the code. 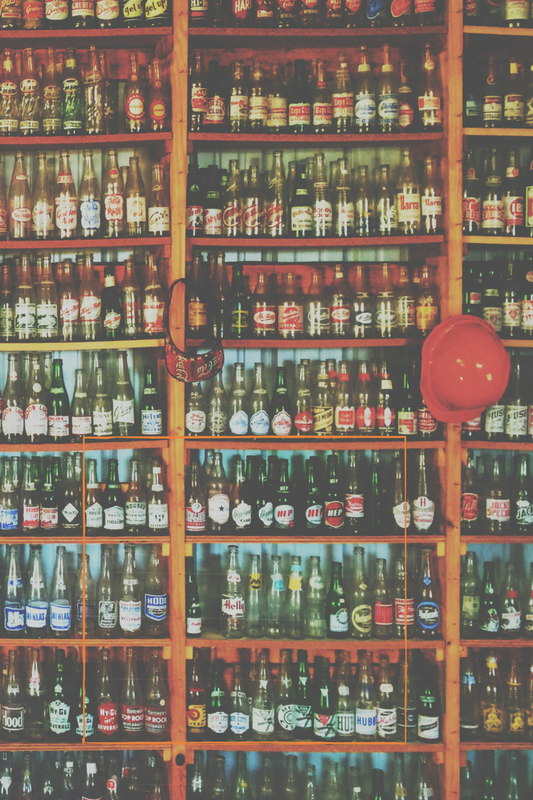 Great product selection helps, but it is not the only factor. Sellers need to identify why some items sell well. Harness that information and use it to sell more stuff. Separate yourself from the products you sell... just consider the listings themselves. Not the "what" is being sold but "how" it sold. What is it about the listing's style and makeup that buyers are responding to? Consider the details of some listings that sold right away. 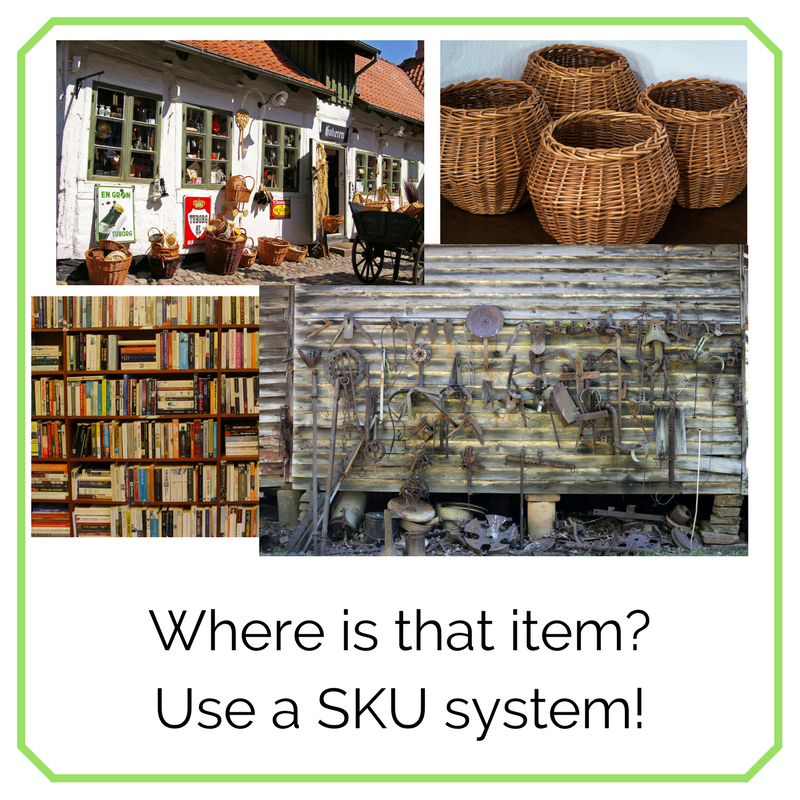 Look at a few items that were barely in your shop before they sold. Ask yourself some questions about the makeup of each listing. Keywords. Check for keywords common to the titles or descriptions of your best-selling listings. What was the opening sentence in the first paragraph? Description: how did you "talk" to your customers? Were listings more effective if you gave some history of the item? Were listings more effective if you suggested ways to use the item? Where in the listing did measurements appear? How did you manage the "attributes" fields on the listing creation page? How many photos did you use in your best selling listings? 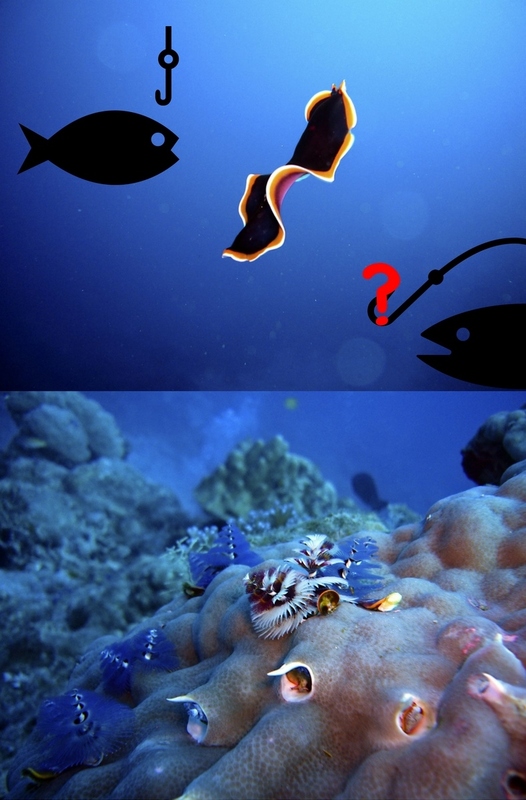 What backgrounds did those photos have? Were the images staged to show the item in use with props, or were the photos focused on the product alone? Here is more information from Etsy about taking effective product photos. Consider what you know about who bought the items (age, location). Was the item a gift? Look at their Etsy profile. Can you see preferences in their favorites? 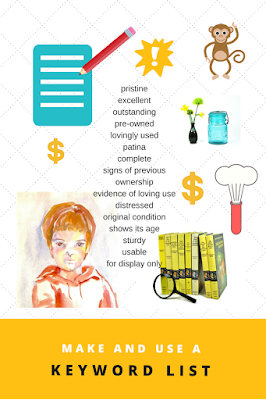 Was the buyer a collector, trendy or thrifty? Does the same listing style appeal to all three? After gathering this data, analyze it. What made the listing effective? Now, go make more listings like that. The opening paragraph of your item description is crucial. It is both a science and an art. Craft your opening paragraph to match as many factors in the search query as possible. You must know your target market. At the same time, your opening paragraph must engage your viewer, converting them into a buyer. 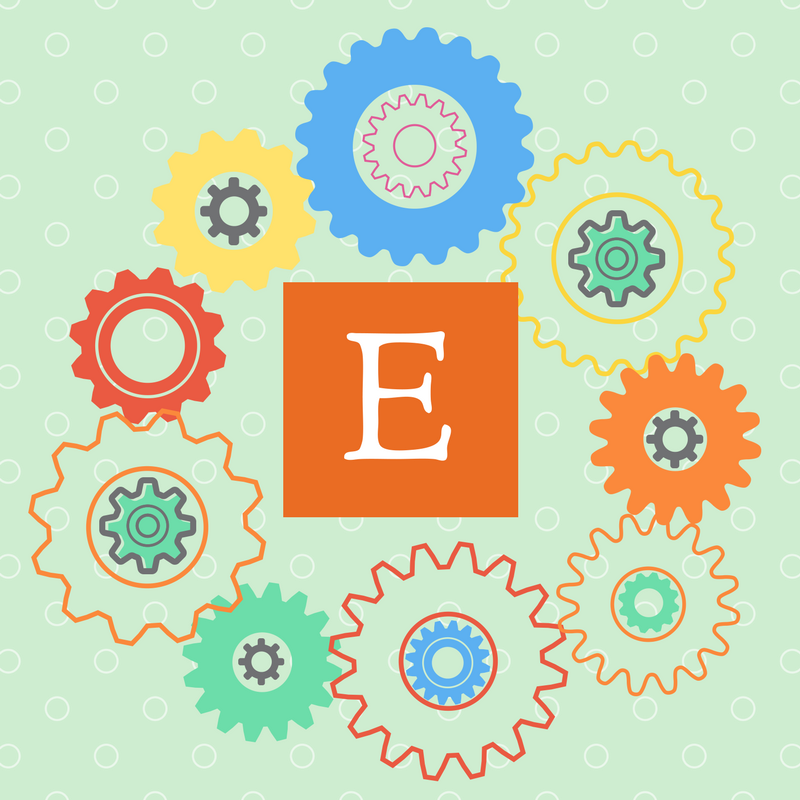 Search engines and Etsy love a great conversion rate. Capturing the attention of a shopper is an art. It is where your personal writing skills come into play. Use your persuasive ability to market your product. Use a writing style and terminology that are comfortable for your target audience. If you capture the attention of viewers in the first few sentences, they will continue to read the page. They will see all the interesting details you have provided that will convince them to buy. If you fail to engage your shopper, they will never see the rest of what you have written. Instead they will leave the page, bouncing to another listing in another shop 😟. 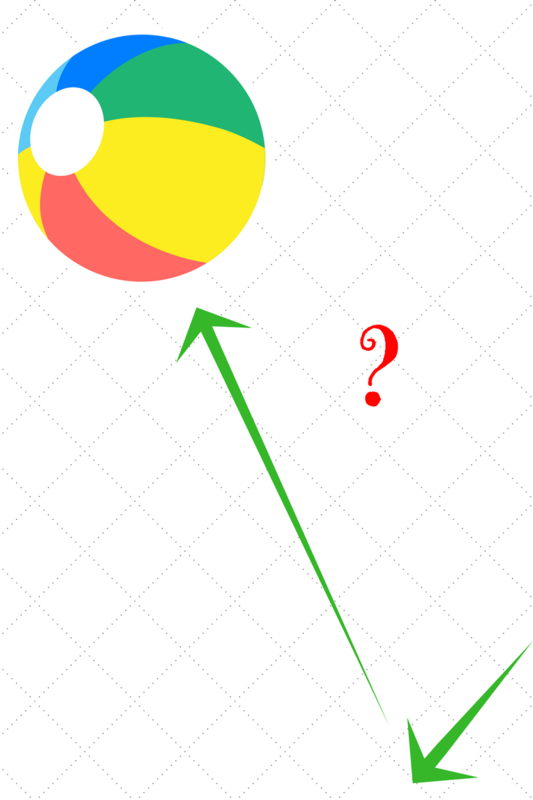 Here are more strategies to reduce your bounce rate. How long should product descriptions be? One school of thought is to keep listings brief. Use short paragraphs (even one sentence). Use bullet points. After all, users of smart phones have that small screen. Which is best? Use the amount of text that is best for your target customer base. Higher quality writing can be a tool to make your products sound more appealing than your competitors’. And longer descriptions take longer to read, which pleases search engines. Use longer descriptions for items that are extra interesting, have a backstory, or are ultra competitive. What will work best to engage buyers? It can be difficult to provide long descriptions that are meaningful. Share some interesting or amusing details about the item. Educational facts are fine. But customers love reading short stories just as much. Give it a try on a few listings. Craft longer descriptions for pricier items. Save the short and brief ones for low-end stuff. Mix it up. Observe if anything changes. Insert a link to more items. Most websites try to keep you in their store by linking you to their "latest" items or picks "just for" their shoppers. 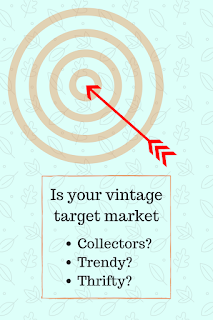 That tactic works for online vintage sellers, too. Can I use boilerplate in my listings? Boilerplate is repeating the same block of text in each listing. The short answer is "no." There are many reasons. Item descriptions should be just that, descriptions. It should not be returns or shipping information. 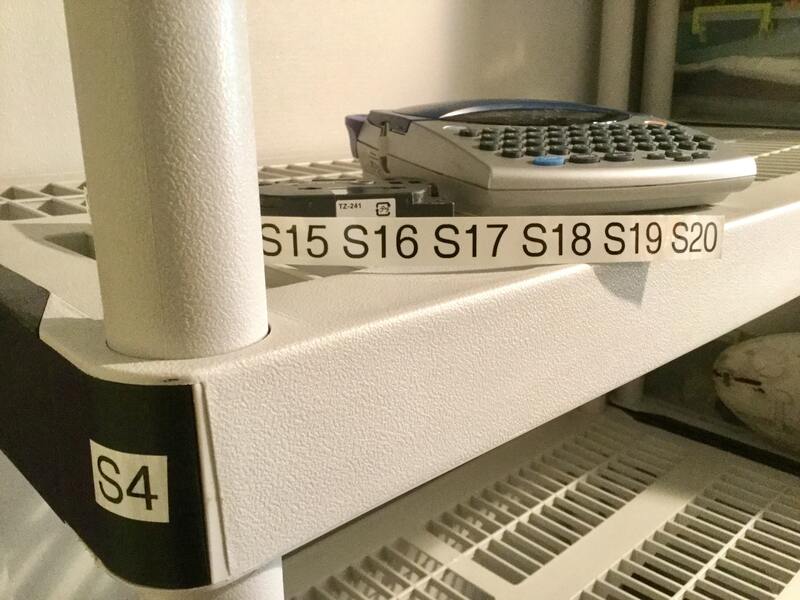 Some feel that the very end of a long description could contain some repetitive material, so you could try that... But put your shipping and return information in your shop policies where they belong. Q: Is it better to copy & paste your title at the start of the description, or to sprinkle the keywords from your title conversationally into the first few sentences? 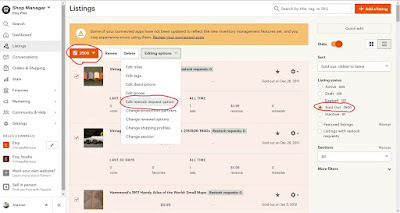 Admin: we recommend using your keywords as naturally as possible throughout your item description because Google does not like unnatural keyword use. Therefore, describe your product in a thorough and accurate way to give yourself the best shot at ranking well in Google. Users of this technology speak their search terms. If necessary, they refine their query. They tell the device what they want, using natural spoken English language (in the USA). The words used are "LSI keywords" in SEO-speak. Do item descriptions really matter? *NOTE: Etsy does not use item descriptions in search right now. But indications are that they could begin to use them. For now, the algorithms referred to are only for outside searches by search engines. But that could change. 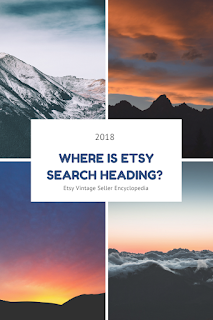 Part of the goal of this blog post is to make you aware of possible changes in the Etsy pipeline. LSI stands for Latent Semantic Indexing. They are keywords related to your main keywords. So write in a natural way, not for a machine. For example, when writing about old things, you might include words like "vintage" or "antique" and "patina." Mention what it might have been used for, its history. The terms you use give clues to the search engines what your item is. Even better, those terms lead searchers to your items. Search engines look for topic and context rather than exact words. Real people do too. So write content for real people.